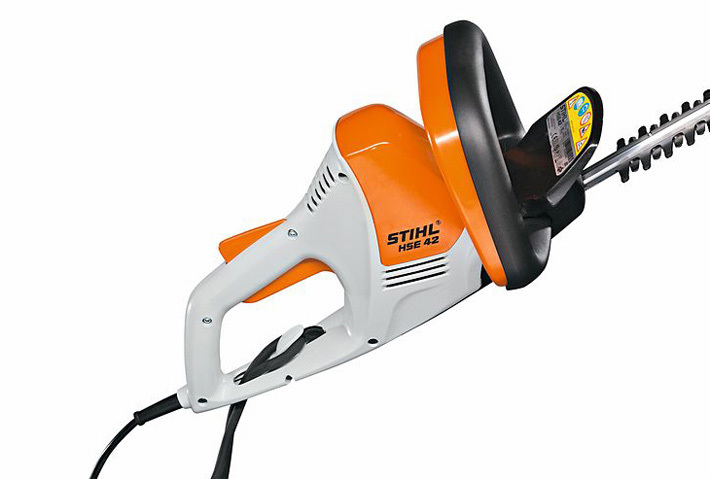 This extremely light and handy electric hedge trimmer is ideal for quiet trimming and cutting of hedges and bushes around the garden. 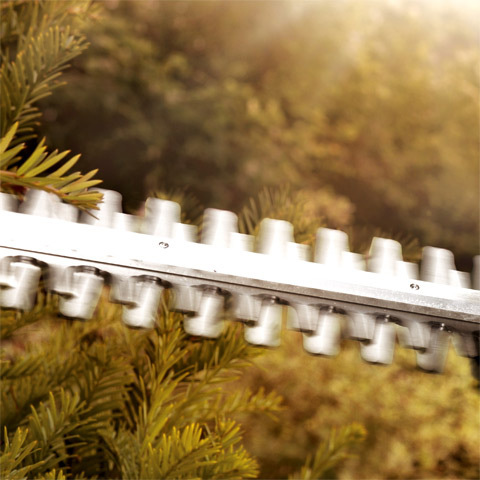 Thanks to a high blade speed and generous tooth spacing, this new hedge trimmer cuts smoothly and efficiently. Two-handed switch control with trigger lock for safe use. Its low weight ensures you can cut for extended periods, whilst its newly designed wrap-around front handle makes swapping from vertical to horizontal cutting a breeze. GB version comes with 10m cable as standard. The high stroke rate of up to 3,400 strokes per minute and the double-sided cutting blades promise a clean cut. The mechanical blade brake stops the blade reliably in less than a second after it is turned off. 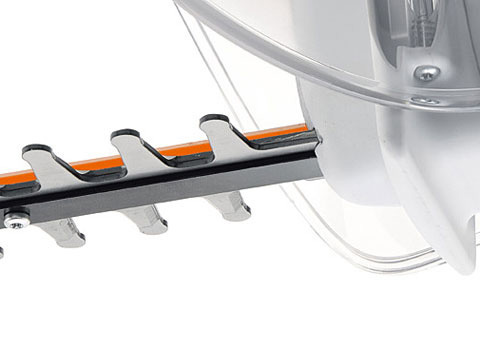 The small hand guard ensures an optimal view of the cutting blades, giving you a better overview of your work. 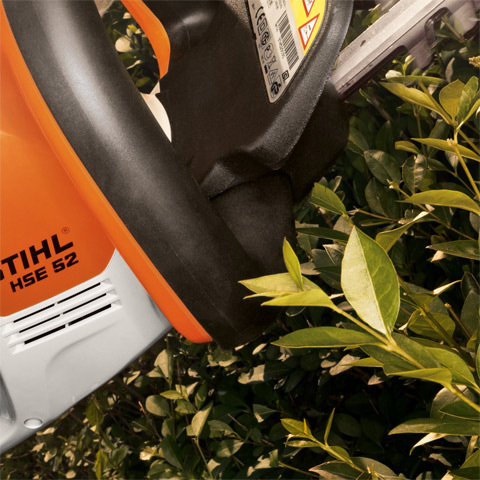 Cut, not shaken: The new electric hedge trimmers are designed so that they operate quietly and with low vibration. 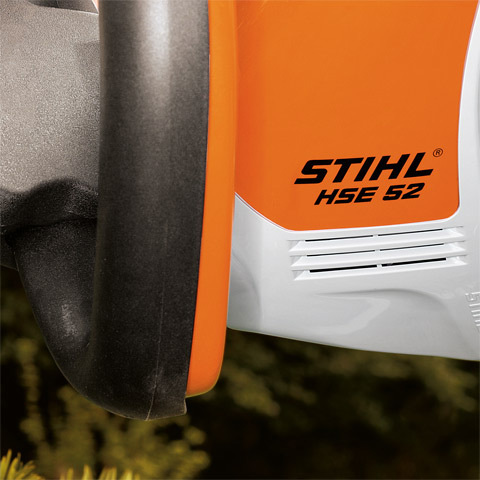 In addition, the low weight of the STIHL HSE 42 (3.0 kg) and HSE makes 52 (3.1 kg) itself makes it a pleasure to do the gardening for longer periods of time. The new electric hedge trimmers are even more versatile with higher power - 420 W (HSE 42) and 460 W (HSE 52) - compared to the previous models. 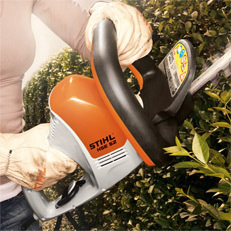 Whether you wish to cut hedges, trim bushes or impress your neighbours. 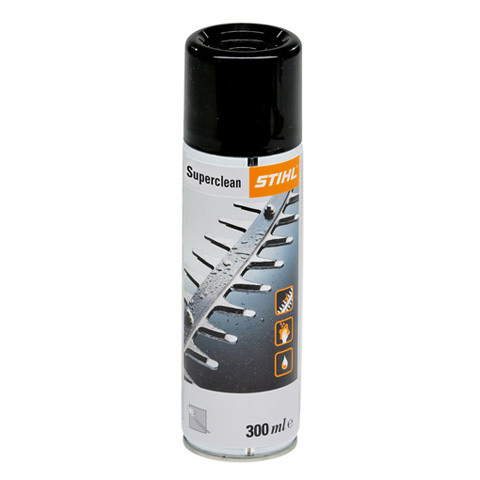 Spray with dual function: Removes resin and dirt, while providing lubrication and corrosion protection. 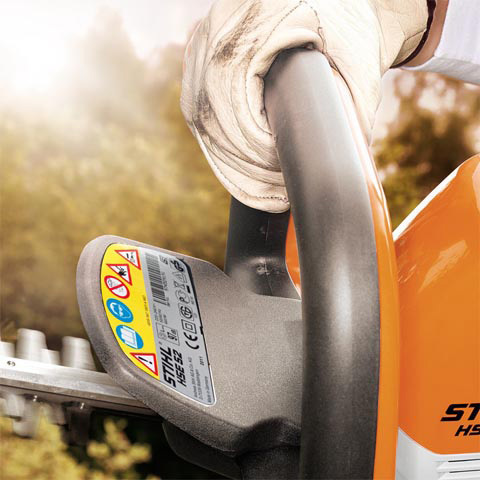 For cutting attachments, hedge trimmer blades and chainsaws.